I recently completed the master beekeeper course offered by the University of Montana. Since then, a number of people have asked me if I thought it was worth it, whether I learned anything, or if it was something they should do. The last question is the difficult one. Some months ago—it may have been January or February—I read with amusement a discussion of master beekeeping programs on BEE-L. Some people thought these programs were the best things since sliced bread, while others thought they were a stupid waste of time that would yield nothing in return. I believe the answer comes down to a belief in the value of formal education. Some people never want to walk into a classroom again, and some people cannot be kept out of the classroom. For that reason, I’m probably the wrong person to ask. Personally, I believe that learning is an end onto itself. For me, the reward of knowing—of understanding the world around me—is the only compensation I need. Besides attending college and grad school, I’ve enrolled in continuing education of all shapes and sizes. I’ve taking non-credit courses in things like darkroom techniques, navigation, archeology, potato production, and interrogation methods. I received my novice ham radio license back when you had to know Morse code, and last year I became a certified NRA range safety officer. And now I’m a master beekeeper. Each of these endeavors has paid off in some way, although usually not in a way I anticipated. But I can understand the other side too. Sometimes I feel that I cannot bear to study for one more exam. Even this spring, in the midst of analyzing the movement of hemolymph through the bee body, I got to thinking, “Why memorize all these parts when I can look them up in the book?” It happens. So the answer to “is it worth it?” depends on your mindset. If you believe education has value regardless of financial reward, then it is definitely worth it. But if education must pay back in dollars and cents, then maybe or maybe not. This morning I listened to an insightful TED talk entitled “Why You Think You’re Right—Even When You’re Wrong” by Julia Galef. She compared warriors to scouts and pointed out that warriors defend their point of view regardless of the facts, while scouts seek the truth. Scouts must assess the enemy, the lay of the land, and confounding variables. A scout can’t allow emotion to get in the way of discovering and reporting the truth. Warriors on the other hand act on emotion or belief. Might is right. The truth is not as important as winning. Galef encourages us to be scouts in our thinking, to seek truth rather than succumbing to emotional judgment. Truth seeking is exactly what the UM Master Beekeeper program is all about. Beekeeping should be based on facts, science, and research, not on emotion. We should never let belief systems get in the way of evaluating what is actually in front of us. The UM course helps you know the difference and enhances your ability to find the information you need and evaluate its source. The highlight of the course was the research paper. Everyone had to write a paper, individually or in a group, about some aspect of beekeeping. It could be a paper based on your own research or it could be a literature review. I used the opportunity to answer a question I had scribbled on a sticky note over a year earlier. The question originated from my readers. Every now and again someone will ask, “What about honey keeps it from going bad?” or “Why does honey work as a wound dressing?” I was never happy with my answers because I didn’t know much about the why of it. So there was my paper: a literature review of the antibacterial properties of honey and how it all works. For me, this was an excellent choice. I now know the answer to these questions. I know why honey behaves the way it does and, incidentally, I know how you can destroy those properties. I also learned some unexpected information: that the honey bee’s diet can affect the amount of antibacterial action in the honey. Really interesting stuff, but if it weren’t for the course, I would never have looked up the details. The exercise was definitely valuable to me and the paper was selected by one of the instructors as “best paper” in the class. Awesome. The downside of the UM instruction is something I began to notice back in the journeyman class. Simply put, I now have less tolerance for voodoo beekeeping than I did before. In truth, I never believed in bowling-alley beekeeping, but I figured, “Let them believe what they want to believe.” The difference is now I find it more aggravating. For example, I was recently told by a reader that he kills all Varroa mites and hive beetles by feeding his bees ground up marigolds mixed with syrup. This appalled me but before saying so I dutifully searched everywhere for references to marigolds as bee feed and marigolds as parasite control. When I couldn’t find anything on Google Scholar, I even checked Earth’s Largest Repository of Beekeeping Misinformation, but even there I couldn’t find anything. So where do these ideas come from? And why are people so willing to believe hearsay and so reluctant to check the facts? The larger question for me personally is how much time do I allot to the warriors, the ones with all the answers who rely on emotion for decision making? Do I try to steer them in another direction? Does being a master beekeeper confer a responsibility like that? Or should I stay silent? I hate to admit it, but statements like the pureed marigold thing keep me awake at night. In my mind I write and re-write my response, and then usually opt for saying nothing. As it is, I can barely keep up with questions. Furthermore, I have many posts from six or more years ago that need to be updated, where information (or my understanding of it) has evolved. So what should be my website priority for the coming year? Do I spend more time updating, more time with the good questions, more time with the warriors, or more time scaring up new information—”scouting” as it were? These are rhetorical questions, of course, but they are the things I think about in the darkness of night. Congrats Rusty on becoming a Master Beekeeper. I do a lot of SMH (shake my head) at the stuff I read online about beekeeping and nature in general. Anyone up for tanging down a swarm of bees? Oh yes! Let’s go tanging! Why do I never think of the obvious? Thanks. I would make the suggestion, that whenever you need to update previous information, that you write a new post. Then you can attach an “updated info” link on the original post. Thanks. I’ve been reading about the pros and cons of doing it different ways, but I think you are right. Congratulations on completing that course! I started that last year, but didn’t have time to pick up the next segment this spring–hope to get into it in the fall again. I agree with you that learning for the sake of learning is a wonderful thing to do. I would like to know more about preventing and anticipating swarming. Did the class include much information on swarming? There was a section on swarming, but I think the best resource for understanding swarming is the book Honeybee Democracy by Thomas Seeley. Congratulations on your accomplishment Rusty! I totally get what you are saying about furthering your education. I mentioned to my girlfriend that I was considering getting my Masters in Engineering and she asked me if I thought it would result in a higher salary. I told her that maybe it wouldn’t but that it was more about personal achievement than making more money. She had a hard time with that. Definitely go for your masters. It will pay off in ways you can’t even predict. On an other note, congratulations for completing this. Personally I’ll take a course even “if” i feel i know the subject well, for two reasons. 1. Its nice to have something that says you know the subject. 2. you never know what else you might learn (ie you don’t know what you don’t know). I was cryptic for a reason. You will figure it out. Excellent post, Rusty! I really like the description of warrior vs. scout. I will be looking up that TED talk ASAP. Whatever you decide to do, I’m sure many of us will benefit from it. Please keep up the good work. I, too, did an online beekeeping class at U of Montana this past winter with Dr Bromenshenk, but started at the beginning with the Apprentice Level. This was done for my own learning, and also to weed out the weird beekeeping ideas people get and pass on to new beekeepers, especially the emotional ones, who liken a honey bee to a person. I must admit I truly love beekeeping and the bees but have learned that they are bugs, cute ones at that, and TRY not to lose sleep over them (ha ha). This winter I will try the Journeyman level, even though I probably won’t be ready. I advise every beekeeper to invest in this education, there is so much to learn and it will help the bees tremendously. Thanks for all you do to educate us! Good luck with your coursework! 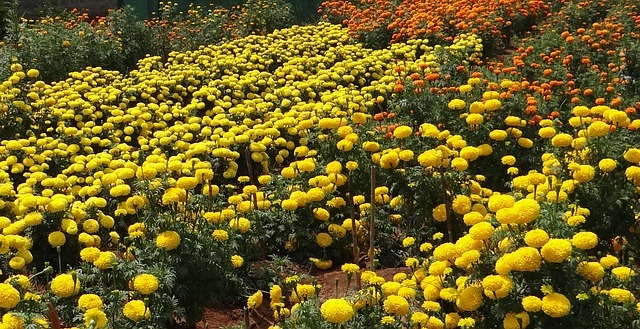 You are asked where the misinformation comes from such as marigolds to rid the bees of mites. I don’t know. I read some articles in the newspaper that has a medical doctor and a pharmacist answers questions like this. Most of the time they say there is no scientific evidence of this working but if it works for you than we can’t argue with success. Many time this means the scientists have not investigated this method and sometimes when they do they find it had very limited success for them but other time it works. The bar of soap under the sheets to stop leg cramps for instance. After 30 or more years of hearing about this they have finally studied it and found that the fumes given off by the soap is therapeutic. I don’t use the soap but I don’t have leg cramps. I would have to try the marigold method before I could write it off entirely. What we do know is that excess fiber and ash in the diet can lead to honey bee dysentery because the honey bee digestive system is not designed for eating fibrous plant material. Ground up plant parts are going to be loaded with fiber which may not be much of a problem in warm weather but could be a death sentence in winter. Its a pleasure to receive your blogs. As a voodoo-rejecting warrior striving to be a scout, could the Master Beekeeper run through the facts on why I shouldn’t feed the capped honey I took from a 20 year untouched wild cut-out and put straight in the freezer still in the dark comb to my other colonies? The only reason I can think of is brood disease. If you are confident that the cut-out did not suffer from American foulbrood or European foulbrood, then go ahead and feed it to your other colonies. I know you said they were rhetorical questions but as an avid reader and coming from a field of work that focuses heavily on evidence based practice I would say don’t invest your time in warriors. As you said yourself they do not listen to the facts. Invest your time in people with good questions that are actively trying to learn the why behind what we as apiarists do. I’ve been thinking that, too. Let the warriors go. What an absolutely excellent article on your Master Beekeeping Diploma. I would love to read your paper, or at least know where to follow the research that you found. I need to scout more and fight less! Undoubtedly. While I have always followed my instincts, I do know that emotions can lead to wrong decisions. Saying that, I had an example in beekeeping this season that was simply instinctive and lead to a good result. But formal learning is the key to greater knowledge. There is no doubt to that. Thank you again for a fascinating article. At some point, I will post my paper with all the references here. Thanks for a great article–as usual. Some of us just can’t keep from commenting even on rhetorical questions. So…. I’m of the scout mentality and agree that learning is an end in itself. This is one of the first websites to which I turn when I have questions. Please let the warriors go, and continue the great posts for us scouts. Early on I discovered “Earth’s Largest Repository of Beekeeping Misinformation” and fortunately realised what it was. And congratulations on being a Master Beekeeper; I hope I can say the same one day. I enjoyed that article because I am a warrior…..and learned it from you….I will endeavor to be better in the future. Congrats on the Masters and try to sleep easy over nuts and marigolds. You learned it from me? You’re mean! I value your post-evaluation, Rusty, and congratulations on your achievement. For me, there are several reasons I have chosen not to take a Master Beekeeper program, in addition to those to which you refer. First, I am aware of what I do and do not yet know, and feel that I do not need external affirmation to extend my knowledge and skills, or lack thereof. Secondly, I feel I am self-motivated, and don’t need the structure or challenge of an external course to read, research, etc. Indeed the formality and stress of a Master course takes much of the fun out of it for me, and as a sideliner, beekeeping must be fun. Thirdly, I enjoy the challenge of self learning, of finding my way through the maze, with all of the unexpected treasures one can stumble across. With today’s info revolution, everything one might need to know is readily available, especially if one is a Scout rather than a Warrior (and yes, I watched the same fascinating TED talk.) And finally, my particular interests are the philosophy of beekeeping, in particular how a colony models and reflects issues that are relevant and current to us in this rapidly changing world. That is not included in any Master Beekeeping course I have yet seen. Interesting perspective. When someone first ask me if I was interested in becoming a master beekeeper, I said I would never do that. But years went by, I wrote my master’s thesis, started the blog, and began speaking to groups about bees. Several places wanted to know if I was a master beekeeper before hiring me, so eventually I caved. I said, “If is so blank important, I will just take the blank sequence.” But, as things often happen, I actually learned a lot more than I thought I would. So although I began the course thinking it was a check-box item, I completed it with a different mindset. Congratulations on becoming a Master Beekeeper! No reader of your blog would be the least bit surprised that your paper was selected as the best paper in the class. Congratulations Rusty. George Imirie would be proud of you. I’m a member of the club that George started and ran for many years in Montgomery County, MD. Once I found an online repository of all of this “Pink Pages” that were published over the years I was delighted with his no-nonsense way of telling things the way they truly are. Congratulations! I wasn’t surprised at all that your research was chosen as the best paper. Indeed, I’ve heard the British master beekeeping sequence is rigorous. Here, it varies quite a bit, depending on what organization is providing it. Good morning Rusty! This is one of the best essays you have ever written….and you have inspired me to continue with my ‘bee education’ (and maybe even start all over again, from the beginning). Currently, I am in the middle of a very serious crisis of confidence in my ability to ‘keep bees’ – even though I am in my 4th season now. A re-group, and renewed exploration of knowledge on my own terms (not trying to get the answers from the 20 beekeepers who give 40 different answers to questions!) seems to me the only logical way to try to forge forward. I truly appreciate your thoughts on this matter and thoroughly enjoy your writing. The universe must have meant for me to see this this morning. Peace and continued happy beekeeping to you. And thank you so very much. Don’t get discouraged. I have fairly regular “crises of confidence.” It’s just part of beekeeping in the modern world. Another beautiful morning, and Happy 4th to you! Thanks for your encouragement. If you also have periodic crises of confidence than I am in good company indeed. We shall press on! Enjoy the day! I have always felt the Internet is a wonderful tool with the most information of any place containing all of mankind’s knowledge…and yet it’s often easiest to find the most misinforming and worst of knowledge. In my work I use science-based thinking as well, and have to refer to books as you so often do, because the Internet is either useless or filled with so much crap. When I’m looking up drugs/disease I get countless hits for lawsuits or herbal alternatives etc etc etc. I have always assumed your website would culminate in a book. A practical and science-based book of beekeeping. One I would happily buy. As for the website, I wouldn’t worry about the old information. By its date it should fall off, and if it doesnt, and an old topic is searched or brought up you could edit a note to it. Always enjoy your writing, thank you. Thanks. And yes, I’m thinking on the book thing. Congratulations and thank you for a great post. I too believe in education for education’s sake. There is so much in the world to learn and do. I want to better understand things around me. I am a first year beekeeper and I look to your site to get answers that are based on facts not on some whims or emotion. Please continue “scouting” out information. Your blog is a great resource for many of us in beekeeping. Keep up the great work and thank you for your thoughtful answers. Congratulations, Rusty, and well done! You must be proud of yourself. For me, part of what makes your site successful is that you write about what interests you. Sometimes you fight the good fight, sometimes you seek new truths, sometimes you write about spending hours in the wild carrots looking for a bee I never heard of (and don’t remember). Don’t fret too much about the geraniums out there, they will earn their due in the fullness of time. Enjoy. Congratulations on the degree! Education is always worth it! I would love to pursue a degree like that when I have less small ones in the house! As for your question about the blog, one of the troubles I’ve come across since finding your blog, is that I will read everything that you’ve written on a topic, but not always know what you think is best, or what methods you are currently using. That being said, I appreciate all that you’ve written. One of the best online beekeeping resources I’ve found. A couple of things happen. First, my thoughts on some topics tend to change over time, so the most recent post on a topic is probably the best. Secondly, the best answer is often dependent on local conditions. What is best here in the Pacific Northwest might not be the best somewhere else. Also, I like to give options, not rules. There is no one way to keep bees. I love reading your posts. Thank you for spending the time to share your knowledge. I love how simple beekeeping can be while also being masterfully complex. I just spent some time trying to understand nectar flow and dearths. Something that isn’t a requirement to keep bees but good info to have. Of course there was the basic answer as to what they were but when, how long, weather, plants, region and their effects were all but easily understandable. Learning how to learn is evolution at it’s best. Congratulations! And, yes, keep writing. You have a gift for it. Where can we get a masters in entomology around here? I’ll go with you. Hi Rusty, meandering around on the internet yesterday I found this: http://thermosolarhive.com/en/homepage/. It was fascinating reading. They have just finished an Indiegogo fundraiser. I would love to read your take on it. It sounds so reasonable and quite sensible. Both the drones and swarming and the careful heating of the hives. What a tantalising idea, getting rid of Varroa with no chemicals! Much more appealing than the Flowhive which was all about honey, this is about bee welfare. Dozens of people have asked me about this, so I wrote to the founders of the hive to get my questions answered, but they didn’t respond. My questions are basically two-fold. Bees work very hard to keep the brood nest cool enough in summer. They fan and fan and fan to keep the temperature within a few degrees of ideal. So, what is to keep the bees from fanning themselves to death in an effort to keep the nest cool? The second question has to do with heat resistance. Just as mites have developed resistance to nearly every chemical tried on them, I believe they could develop resistance to warmer hive temperatures in just a few generations. Based on past performance, I assume they could adjust to warmer temperatures much faster than the bees could. I’m not saying the thermosolar hive is a bad idea, not at all. But I would like to know how they would answer these questions. Maybe they have worked out some calculations or science that I don’t know about, but until I understand their reasoning, I would not endorse the technology. My other objection is the price. If an answer to varroa mites is to be viable, it must be affordable to most beekeepers. This thing, like the Flow hive, is way over-priced.